Did You Write a Great Essay? Why Not Win Some $$$! If you have already written your college application essays, and either know where you are headed this fall or are still waiting, why not enter them into some contests? Why the heck not? Some offer some decent cashola prizes. Here’s the best one I found that looks like it’s worth the time it takes to send them in! Extra Credit: Scholarships for Exceptional Student Writing. This contest will awards $5,000 to the three top winners! 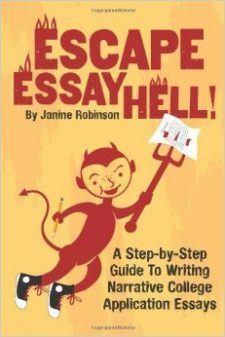 You can use essays you already submitted to colleges. The judge panel is amazing, including famous writers, such as Jeff Kinney (wrote Diary of a Wimpy Kid! ), Wally Lamb (She’s Come Undone), Kelly Corrigan, Mary Roach (Stiff, about cadavers) and Anna Quindlen (famous New York Times columnist). It would be an honor just to have these brilliant writers read your work!